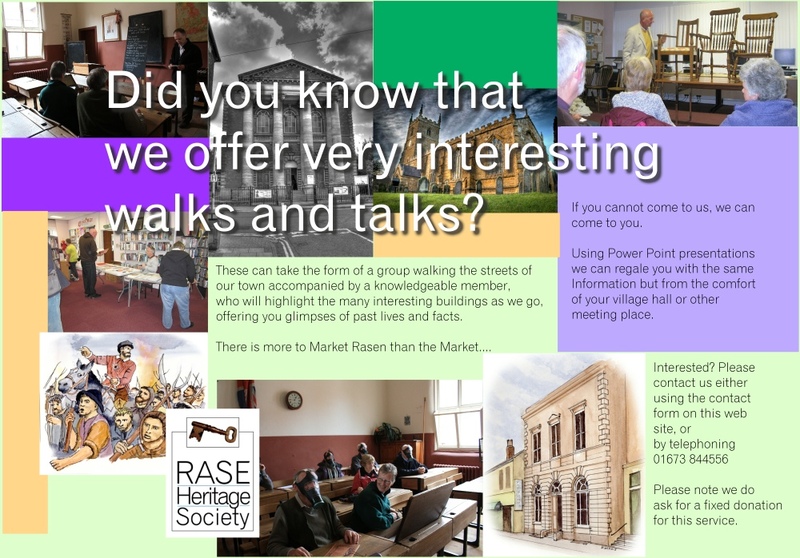 On Thursday 6th December 2018 the Society was visited by Widow Smith who came to tell us how things were in Market Rasen back in 1818. Widow Smith had fallen on hard times following the death of her husband, William, who had been a licensed hawker and having failed to get help from the Parish she was making ends meet through having a stall in the market place where she sold what was left of William’s trade. Taking us through the social and political events of 1818 in Market Rasen month by month, she gave us an insight into how the town was governed at that time and introduced us to many of the people of the town and the events that were most important in their lives – births, marriages and deaths. She had taken in Elizabeth Sanderson, a young unmarried servant woman who, in the mores of the time, had disgraced herself and was pregnant. This act of kindness told us a lot about Widow Smith being a woman who identified with those who, like her, had to cope with difficult challenges in their lives. Elizabeth helped Widow Smith with her stall. She gave birth to Sarah in December. The Church was important in the town not just for its religious role but because the parish was the unit of local government so the Vicar, Rev Matthew Barnett, was a significant figure as was John James Clarke, one of the churchwardens. John was a draper in the business of his father, Richard. Also prominent was Zephaniah Barton a doctor (often referred to as surgeon). He was a friend of the Tennyson family who were also prominent in the town. The roles of the solicitors Thomas Rhodes and Mr Vine were important. Widow Smith’s circumstances were such that she was not one to take kindly to what she saw as the petty restrictions place on her by those who thought themselves ‘better’ than her because of their superior social standing so her dealings with ‘the great and the good’ of the town were never easy, she treating them with as much suspicion as they did her. For this very interesting insight into the early nineteenth century life of Market Rasen we must thank RHS member Caroline Foster who researched the times of Widow Smith and introduced her to us through time travel. A very enjoyable meeting to end 2018.